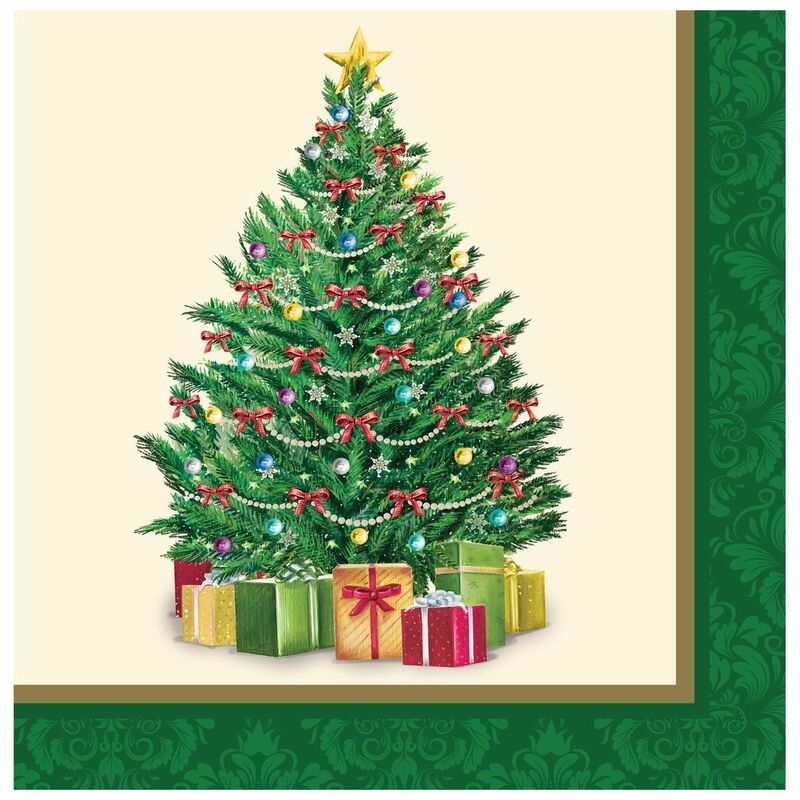 Perfect Pine Beautiful Christmas Tree and gifts with a decorative border. Paper Luncheon 2 Ply Napkins (16 per package) Paper/Plastic Tableware is meant to be one use and disposable. 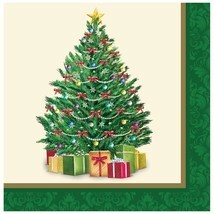 Check out our other party supplies in Christmas Themes!